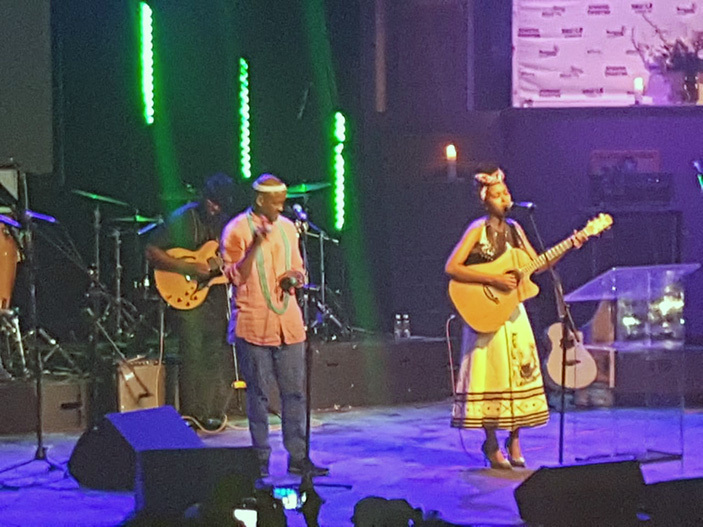 PAKARE Paye musical offspring Ashton Nyahora better known as Mbeu and Selmor Mtukudzi reduced some of Tuku’s fans to tears on Tuesday afternoon at the Mandela Theatre in central Johannesburg. This was at the musical memorial of the departed Oliver Mtukudzi who commanded a very huge following in South Africa. 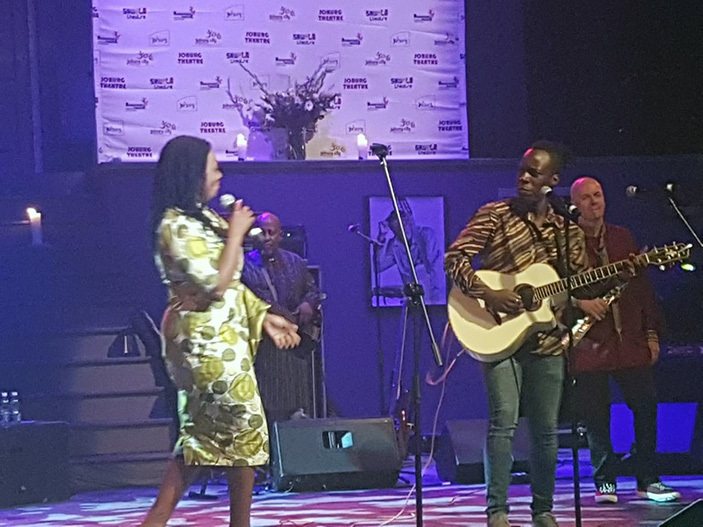 The event , which was the top trending event on Twitter that afternoon, was arranged by a host of organisations including the City of Johannesburg that the late Tuku used to deal with. These included the Hugh Masekela Heritage Foundation, Gallo Music and Steve Dyer founder of the group Mahube. The 600-seater auditorium was packed with dignitaries and music legends. Notable among them was the Zimbabwean ambassador to South Africa David Hamadziripi who gave a moving tribute. “We know Tuku was loved by the world and we shared him with the world but as Zimbabweans we claimed primary kinship. His voice may be silenced now and his guitar may not twang anymore but his legacy will forever live,” said ambassador Hamadziripi. The crowd was multicultural with the greater chunk being South Africans. They intermittently broke into Zulu and Sotho gospel songs in an atmosphere that resembled a funeral. Methodist Bishop Paul Verryn gave a short sermon and prayer. 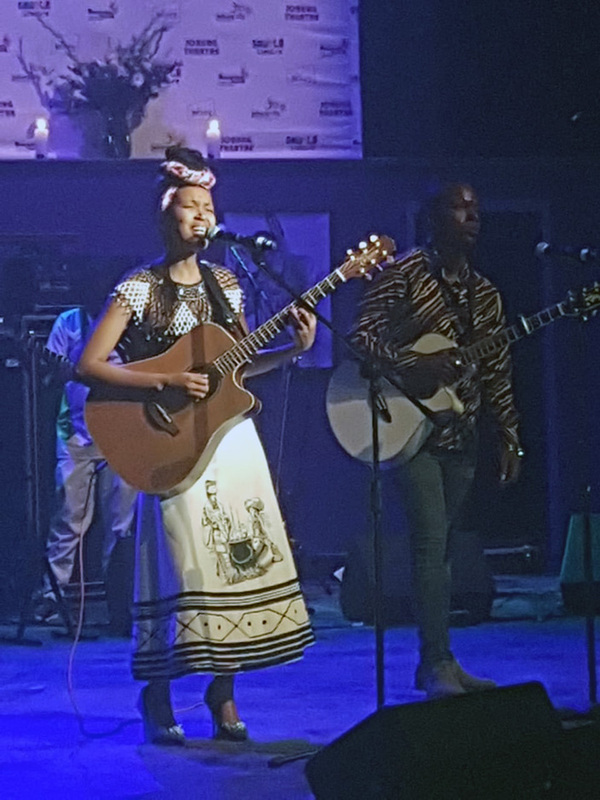 Notable musicians who did collaborations with Tuku such as Vusi Mahlasera, Siphokazi, Ringo Madlingozi, Nigerian Kunle Ayo, Judith Sephuma and Phindie from Mahube were all there. Zimbabwean-born Berita was also there and gave a moving rendition of Neria. The Bassline events founder Brad Holmes spoke highly about Tuku’s work ethic. “Tuku was never late for a show and was an all-round professional. In my more than 20 years that I have dealt with him I never made a loss. All his shows were always sold out. I say to him Rest In Music my friend,” said a tearful Holmes. After the speeches came the musical tribute and Selmor proved she must be certified heir to the Black Spirits band with a flawless performance. 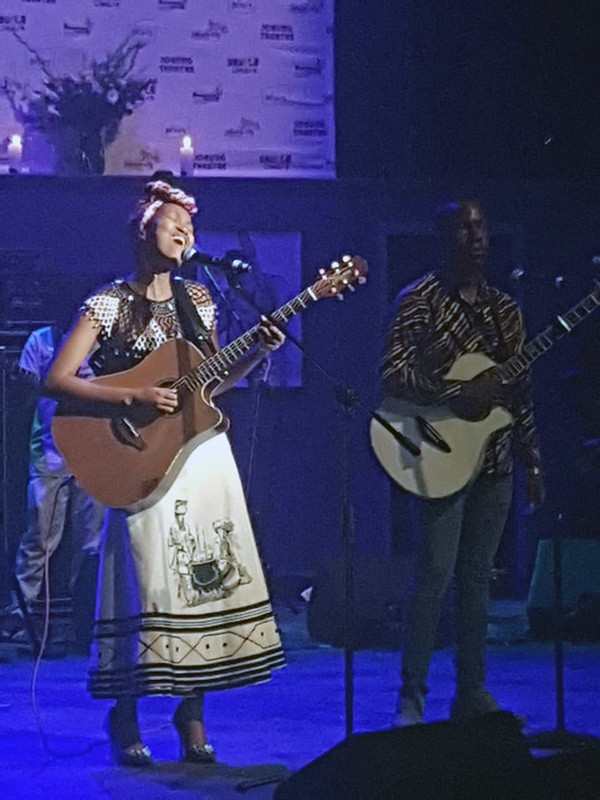 She did lead vocals on a number of Tuku’s greatest hits such as Ziwere, Tozeza Baba among others much to the amazement of the packed venue. Her sister Sandra was also there doing back vocals. They left fans in awe as they took charge of the stage in a way similar to their late dad. 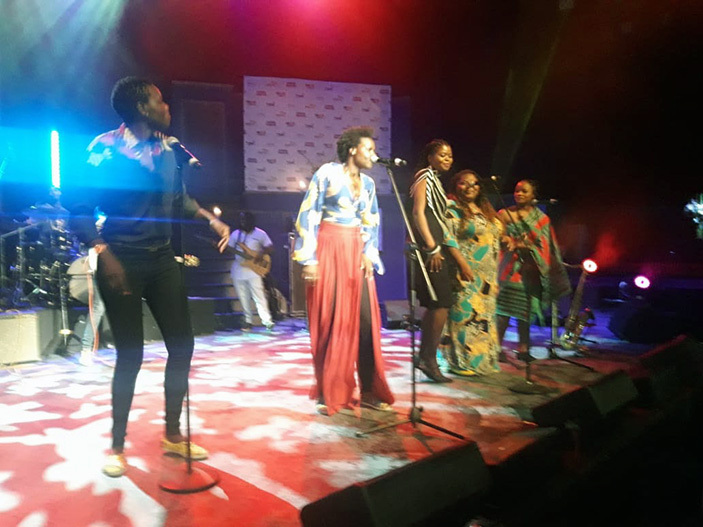 Black Spirits bassist Charles Njekesa and vocalist Fiona Gwena were also there and one could see the pain in their eyes as they remembered the good times shared with their late boss. Former Alick Macheso drummer Obert Gomba showed how versatile he is as he took over the drums after the appointed drummer seemed to struggle with the beat. When Gomba took over it was all smooth sailing. Mbeu immediately thrust himself into the international spotlight as he did all the Tuku vocals in the collaborations. He acquitted himself well with Siphokazi and Judith Sephuma. His acoustic guitar strumming skills were evidence of a well-groomed artist and it will be an injustice to many if he loses the touch that he acquired at Pakare Paye. It was a sombre moment at the end when Selmor finally broke down as she thanked the crowd that came. Some had come from as far as Cape Town just to be part of the official memorial. It was a indeed a fitting tribute to a hero who will be missed in South Africa as much as in Zimbabwe.